My new historical romance series called “The Baldwins of Manhattan”, is set in New York City in the late 1800s. Joseph Baldwin, the patriarch is a newspaper publisher who owns six major newspapers in the United States (think William Randolf Hearst). Each book in the series follows the lives and loves of the five Baldwin children – Adam, Allie, Mia, and twins Emma and Ava who live with their equally wonderful parents, Joseph and Clara Baldwin in a unique apartment building called The Sandanko, in the then remote upper area of Manhattan. (It was not called the Upper West Side until the 20th century.) Well, to be honest, Adam, lives in Chicago and runs his father’s Chicago newspaper there (Adam’s book will be the final book in the series, and wait until you see what I have planned for Adam! His life will be turned upside down when he FINALLY finds true love. But back to the Sandanko. I situated this wonderful living facility, just across from Central Park. This building houses 60 families and will provide the backdrop for the Baldwin family series and more series to come! In fact, The Sandanko will be a prominent “character” in all of my upcoming books. 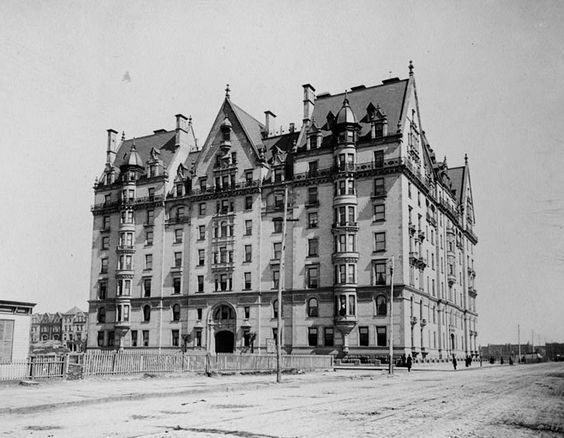 Architect Henry J Hardenbergh designed The Dakota in1884. A local chap, he was born in New Brunswick, NJ. Schooled at Hasbrouck Institute in Jersey City, and apprenticed in New York from 1865-1870 under Detlef Lienau, architect of Lockwood-Mathews Mansion, Norwalk, CT. 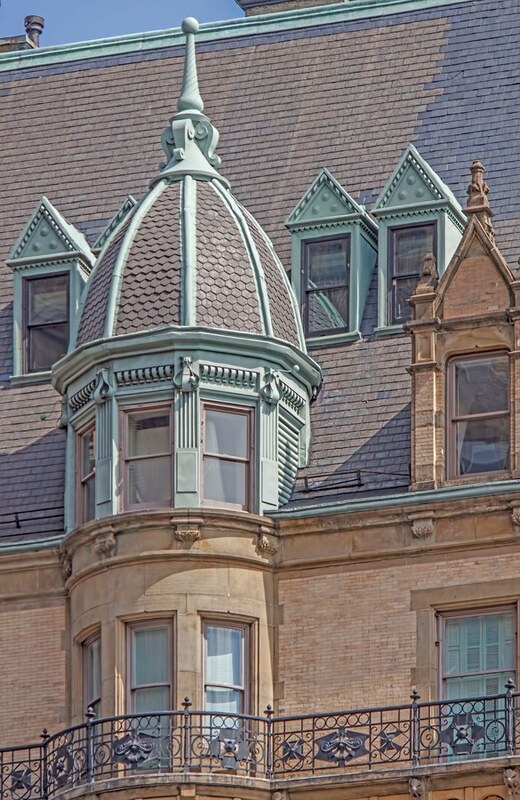 The Dakota apartments, a coop, is exclusive to the famous, movie stars, musicians and the wealthy. 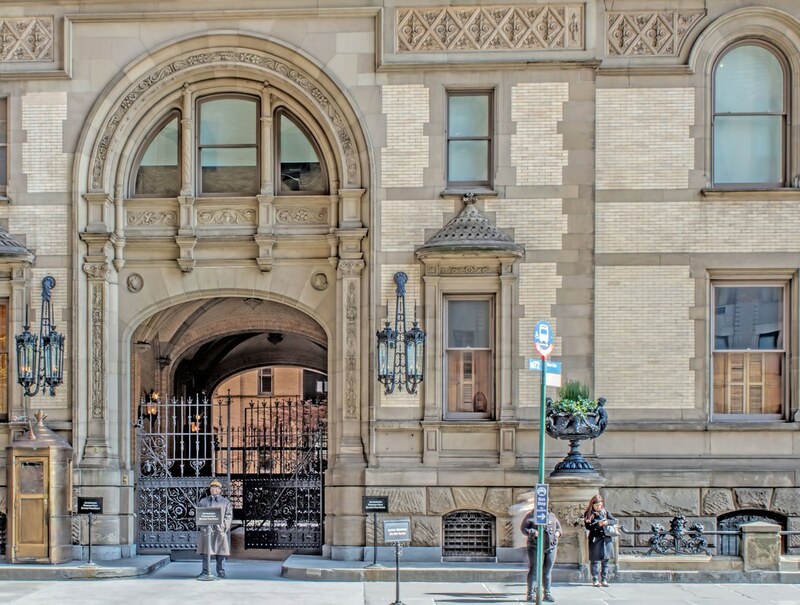 The Dakota got its name because the area was remote in relation to the rest of the Island of Manhattan, and more like the remote Dakota Territory, so far west and so far north, as mentioned in Christopher Gray’s book, New York Streetscapes. The building’s high gables and deep roofs with a profusion of dormers, terracotta spandrels and panels, niches, balconies, and balustrades give it a North German Renaissance character, an echo of a Hanseatic town hall. Nevertheless, its layout and floor plan betray a strong influence of French architectural trends in housing design that had become known in New York in the 1870s. High above the 72nd Street entrance, the figure of a Dakota Indian keeps watch. 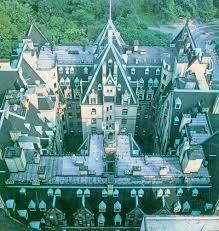 The Dakota is square, built around a central courtyard. 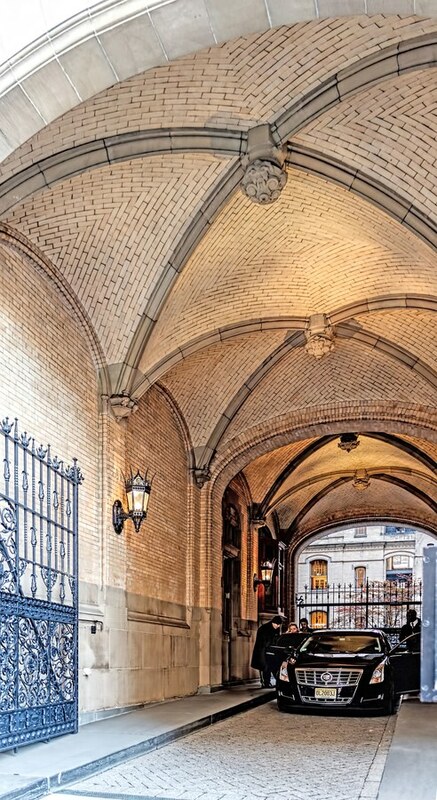 The arched main entrance is a porte-cochère large enough for the horse-drawn carriages. The area is sheltered from the weather. The general layout of the apartments is in the French style of the period, with all major rooms not only connected to each other, in enfilade, in the traditional way, but also accessible from a hall or corridor, an arrangement that allows a natural migration for guests from one room to another, especially on festive occasions, yet gives service staff discreet separate circulation patterns that offer service access to the main rooms. The principal rooms, such as parlors or the master bedroom, face the street, while the dining room, kitchen, and other auxiliary rooms are oriented toward the courtyard. Apartments thus are aired from two sides, which was a relative novelty in Manhattan at the time. Some of the drawing rooms are 49 ft (15 m) long, and many of the ceilings are 14 ft (4.3 m) high; the floors are inlaid with mahogany, oak, and cherry. 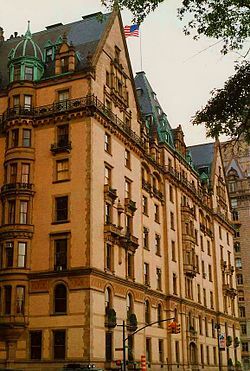 Originally, the Dakota had 65 apartments with four to 20 rooms, no two being alike. The apartments all look out onto an open courtyard as depicted here in this photo. These apartments are accessed by staircases and elevators placed in the four corners of the courtyard. Separate service stairs and elevators serving the kitchens are located in mid-block. 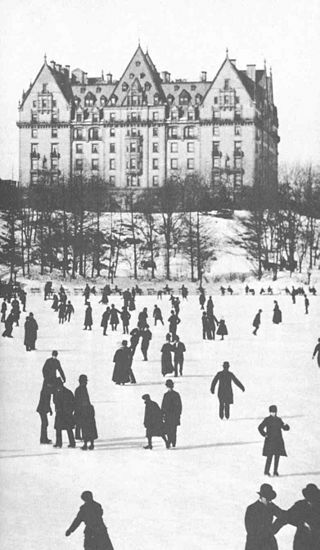 Built to cater for the well-to-do, the Dakota featured many amenities and a modern infrastructure that was exceptional for the time. The building has a large dining hall; meals also could be sent up to the apartments by dumbwaiters. Electricity was generated by an in-house power plant and the building has central heating. Beside servant quarters, there was a playroom and a gymnasium under the roof. In later years, these spaces on the tenth floor were converted into apartments for economic reasons. The Dakota property also contained a garden, private croquet lawns, and a tennis court behind the building between 72nd and 73rd Streets. All apartments were let before the building opened. 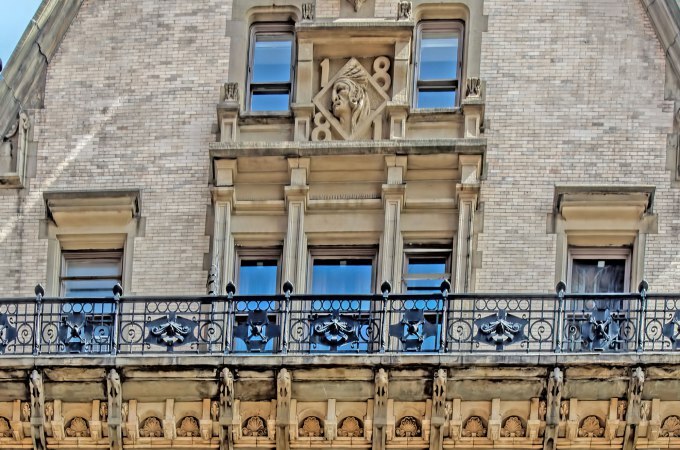 For the high society of Manhattan, it became fashionable to live in the building, or at least to rent an apartment there as a secondary city residence, and the Dakota’s success prompted the construction of many other luxury apartment buildings in Manhattan. Wikipedia. Click this for more interesting facts like the famous who lived here, and John Lennon’s murder outside the building in 1980. An entrance to the 72nd Street station of the New York City Subway‘s A B C trains is outside the building. Dedicated as a National New York City Landmark in 1969, and in 1976 a National Historic Landmark. And did you know that the Dakota has had many famous celebrity residents? Here are just a few: John Lennon and Yoko Ono, Bono from U2, Rosemary Clooney, Lauren Bacall, Lillian Gish, Boris Karloff, author Harlan Coben and the inventor of the Steinway piano, Henry E. Steinway (and his family). My current book, INDIGO SKY (an historical romance inspired by The Lockwood-Mathews Mansion Museum) can be found on Amazon in three formats: print book, ebook, and audiobook.